As quoted previously in the November 11 posting, Enter Again into Yourself, Rudolf Steiner remarked: “To accomplish the greatest deeds, to achieve the greatest results in the spiritual world, a strengthening of the positive will impulse is not what is necessary, rather a certain resignation, a renunciation is needed.” Now, if we were looking for a good example of someone who achieved great spiritual results by means of renunciation, could we make any better choice than that of the Poverello, the Little Poor Man of Assisi, Saint Francis? To strip himself of the external signs of wealth, of the clothes in which he had tasted all the pleasures of the world – and the pleasure of a fine appearance meant a good deal to him – to abandon the pride of his youth, showed everyone that Francis violently repudiated his entire past. 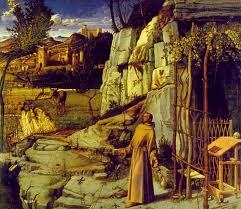 The renunciation in the presence of the crowd was in itself, according to medieval mentality, a juridical act. From now on, Francis, with nothing to his name, was taking sides with the outcast and the disinherited. Born in 1181 the son of a prosperous merchant in the Umbrian town of Assisi, he was in his youth like any other youth – easy going, pleasure-seeking and irresponsible. After however a prolonged illness, and after two powerful spiritual experiences, he began to avoid the company of his boon companions. 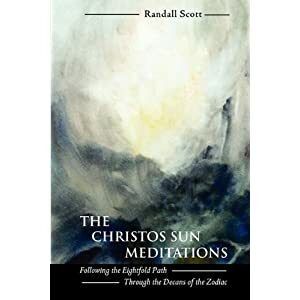 He began to withdraw more and more from festivities and revels altogether, wanting instead to spend more time in prayer and contemplation around the countryside and in the caves of Assisi. He spoke to a friend of a “special treasure”. People thought he meant to get married and asked: “Are you thinking of taking a wife, Francis?” And he would answer them: “I shall marry a nobler and lovelier bride than you have ever seen, one who surpasses all others in beauty and excels them all in wisdom” – meaning, of course, Lady Poverty, even if he had then only the dimmest presentiment of her spiritual existence. 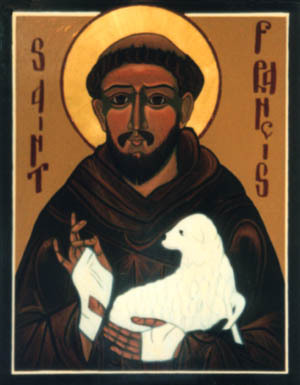 Trembling and amazed, Francis answered: “Gladly will I do so, Lord,” which he set about doing straight away, taking the words literally – as who would not have, with those holes in the roof, those walls crumbling, those weeds underfoot – collecting stones from the townspeople, persuading some to help, to the end that the destitute structure would be built up again to its original integrity, as well as other churches in the vicinity of Assisi in similar disrepair. Meanwhile, the Church around him, the Church extending north, south, east, and west, the “One, Holy, Catholic, and Apostolic Church” as institutionalized then throughout western Europe, was itself falling into ruins, filled as it was with corruption, materialism, and crusading violence. It did not take long for Francis to see the bigger picture. Gradually like-minded souls gathered around him to live the gospel life, and when finally his company grew to eleven, with himself making the twelfth, the Pope blessed him and approved the simple way of life he embraced, which was based on a few gospel sayings. 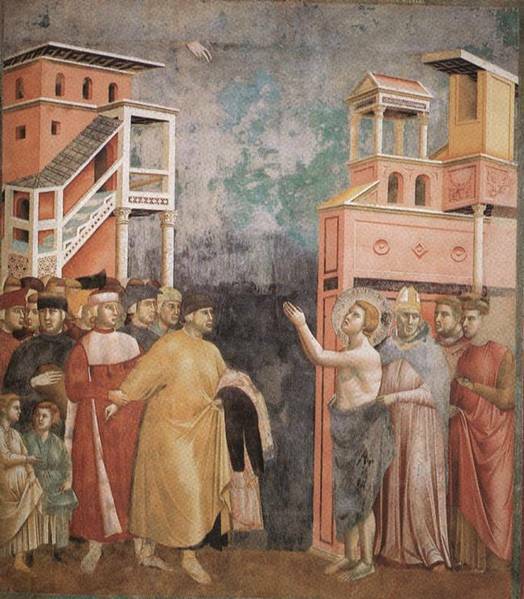 The pope, who happened to be Innocent III, one of the most important and powerful popes in the entire history of the Church, had experienced two dreams, a dream in which he saw a palm tree growing up at his feet, and another dream in which he saw the Poverello propping up the Lateran, which seemed ready to fall. His sense of the first dream was that, as a seedling palm tree growing at his feet, this Little Poor Man of Assisi would, in good time, grow to overshadow himself, the tiara-crowned successor of Peter. ﻿ That was in 1209. From this grew the mendicant Order of Friars Minor. Completely o﻿rthodo﻿x in Catholic belief, committed to utter poverty both collectively and individually, the brotherhood of friars was sent away by Francis two by two on missions throughout Italy and beyond. A powerful preacher himself, he travelled tirelessly, to the extent of attempting even to evangelize the Muslims in Palestine. 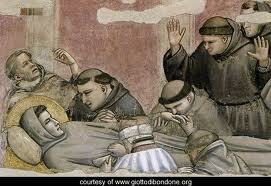 By the time that Francis seventeen years later on October 3, 1226 – blind, sick, bleeding from the stigmata – was laid naked on the bare earth in accordance with his final request to embrace Sister Death, the Friars Minor had spread all over Catholic Europe, a band of them having reached England two years before. The Franciscan revolution in the thirteenth century shattered the complacency and hypocrisy of the medieval Church, and Pope Innocent III almost bit off more than he could chew when he recognized in Francis the friar he had seen in his dream, his shoulder supporting the tottering Church of the Lateran, for Francis was not in the game of promoting ecclesiastical hierarchical power in a corrupt Christendom. 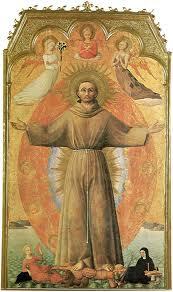 That St. Francis was a social reformer such as, since Jesus Christ, the world had not seen, is generally admitted today. There is no doubt much truth in this and other similar views, but it should be said that neither in his writings nor in his discourse was Saint Francis preoccupied with social and political needs. Like Christ he seemed indifferent to the temporal fate of parties and groups. It was the individual alone and his eternal salvation that counted in his eyes. Certainly he preached the love of one’s neighbor, peace, interior happiness, the right of each to accomplish his supernatural destiny. But that is the Gospel, the practice of which, as we know, is entirely favorable to the temporal happiness both of individuals and societies. It would be better then to say that the political role of the Poverello was to give the Gospel to souls. And the Lord gave me with such a faith in the churches, that in simplicity I would thus pray and say: “We adore Thee, O Lord Jesus Christ, here and in all Thy churches which are in the whole world, and we bless Thee, because by Thy holy Cross Thou hast redeemed the world.” Then the Lord gave me, and gives me now, towards priests who live according to the law of the Holy Roman Church, so great confidence, by reason of their priesthood, and even if they sought to persecute me, I would nevertheless return to them. And if I were to have as great a wisdom as Solomon possessed, and were to meet with poor priests of the world, I do not wish to preach without their consent in the parishes in which they dwell. And these and all others I desire to reverence, love and honor as my lords. And I do not wish to discover if they are sinners, because I behold in them the Son of God, and they are my lords. 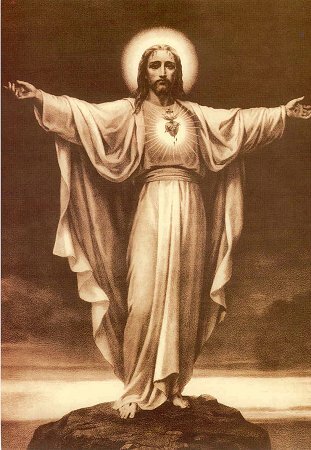 And for this reason I do this: because in this world I see nothing with my bodily eyes of Him who is the most high Son of God except His most holy Body and His most holy Blood, which they receive and which they alone minister to others. And these most holy mysteries above all else I desire to be honored and adored and kept in precious places. Whenever I shall find writings with His most holy names and words in unbecoming places, I wish to gather them up and I ask that they be gathered up and laid in a more worthy place. And all theologians and those who impart the most holy words of God, we must honor and reverence as those who minister to its spirit and life. . . .
That St. Francis was a social reformer such as, since Jesus Christ, the world had not the most High Himself revealed to me that I should live according to the pattern of the Holy Gospel. And I caused it to be written in few words and simple manner, and the Lord Pope confirmed it to me. And those who came to us to accept this way of life gave to the poor whatever they might have had. And they were content with one habit, quilted inside and out if they wished, with a cord and breeches. And we had no desire for aught else. The clerics among us prayed the office like other clerics, while the laics said the Our Father. And quite willingly we would live in poor and abandoned churches. And we were simple and without learning and subject to all. Francis could see what everyone else saw. But as degraded as the Church was, he still considered it the house of Christ. One day a heretic pointed out to him a priest living openly with a concubine and posed the insidious question whether a mass said by this man with polluted hands could be valid. Francis’s only reply was to go up to the priest, kneel down before him, and kiss the hands that held the Body of the Lord at the mass. This feeling for the Church kept Francis from drifting to anything like nascent Protestantism, as happened with the “Brothers of the Free Spirit”. 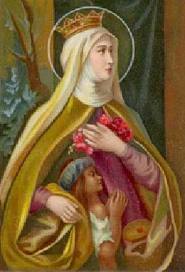 Elisabeth, daughter of a king and wife of a prince, was known for her acts of charity, her penance, and her vigils. Her husband Ludwig, a capable ruler and a brave soldier, often held Elizabeth’s hands as she knelt praying at night beside his bed. One day, surprised by Ludwig, who met her unexpectedly as she went secretly on an errand of mercy to the hungry poor, the bread she was trying to conceal was suddenly turned into roses. Roses – because humanity, no matter if they be the hungry poor or if they be the hungry rich, shall not live by bread alone; and because, whether it is a matter of the transformation of bread and wine on the altar or whether it is a matter of a wealthy young man suddenly springing from his horse and kissing a leper, the rose is simply, as Angelus Silesius has said, without an explanation. She blooms because she blooms.